Well, the correct name is actually “Links - The Old Course, St. Andrews - 17th Hole”. It is from refill Spanish oak casks. 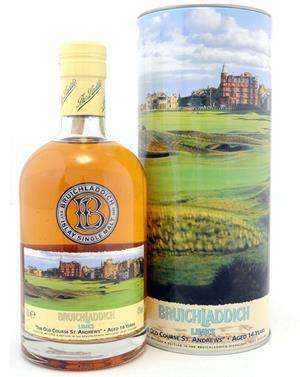 The classic Bruichladdich vanilla and marzipan combined with a little dry oak in the smell. Hints of raisins in the background. More fruity in the taste, and a bit of peat and saltiness mixes in. A bit of dried- and a bit of tropical fruits. The oak is more dominant in the finish. Hints of the sweetness from the fruits as well alongside the vanilla and marzipan sweetness. It is a fine dram, but just above average, and just average compared to other Bruichladdich expressions. Still enjoyed it, and it goes great with a lager or brown ale. I will give this 84/100 (21/21/21/21).